I hope you all had an amazing weekend and are ready and refreshed for a new week! 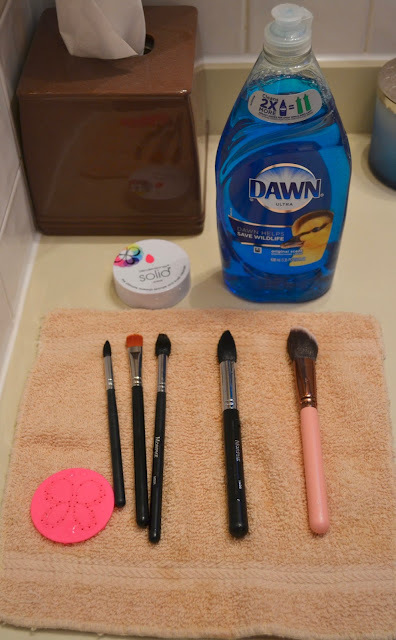 Today I am sharing with you how I clean my makeup brushes. This is something that is super important because not only do you want to keep your brushes clean from makeup but up and dirt but it also helps to keep your skin from breaking out. I am guilty of not cleaning my brushes as often as I should but being that this is a New Year, I am committed to sticking to a routine and keeping up on this task. I try to clean my brushes every 2-4 weeks depending on how often I wear makeup that month. I tend to clean my brushes on a Sunday this way I can let them dry out overnight and they are ready to go come Monday morning. I prefer to use Dawn dish soap to clean my brushes. It really helps to break down the dirt, oil and makeup from the bristles without being too harsh on them. 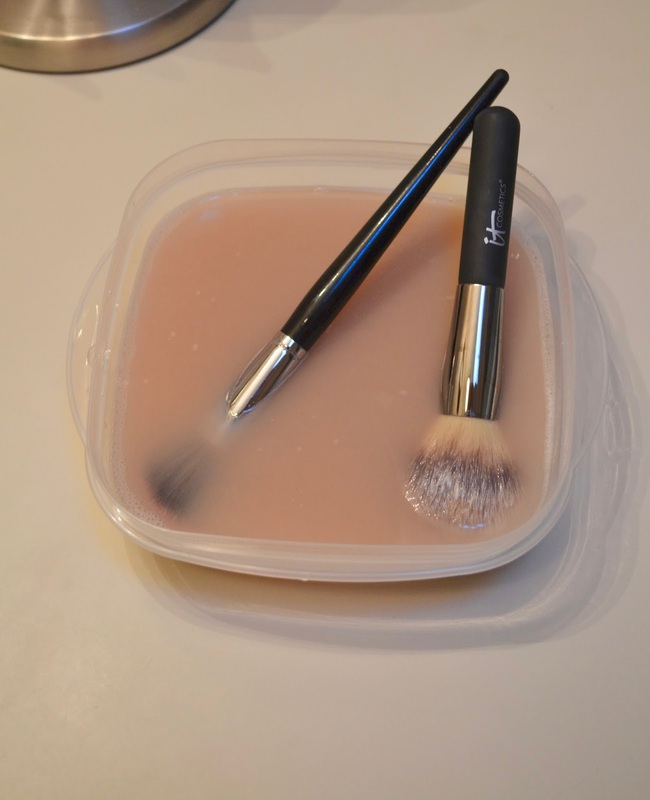 I like to place a few drops on Dawn at the bottom of a shallow Tupperware container and then fill it up with warm water and let my brush bristles soak in the water to really loosen up the buildup of makeup. It's important to only let the bristle soak in the soapy mixture and not the wooden handles this may it doesn't warp the wood or loosen up the metal part from the wood and fall apart. After about 5-10 minutes I begin the cleaning process. I place a dot of Dawn in the bristles and then take the little rubber scrubber that comes with the Beauty Blender soap solid. 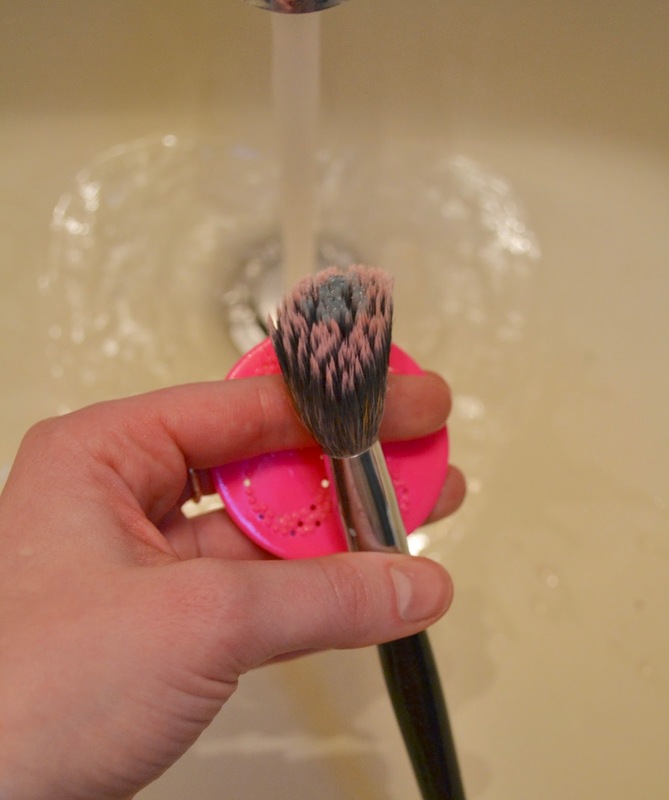 I swirl the brush on the pink mat to create a nice lather. Once the bristles are clean, I rinse them throughly and make sure there isn't any soap residue left behind. Once I've cleaned all of my brushes, I lay them out on a small wash cloth to dry overnight. I hope you all enjoyed today's post! 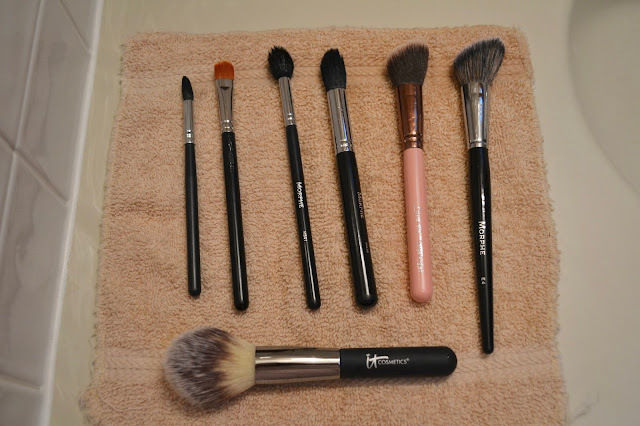 Let me know what are some of your tips on keeping your makeup brushes clean. Enjoy your week and I will see you again on Wednesday!